As our motto says, Rip Van Winkle Campgrounds is for families, for friends and for FUN! That's exactly why we offer several unique and exciting Fun Zones for you, your family and friends to enjoy. And if you've got the need for speed, then there's no better Fun Zone for you than Rip's very own full-scale R/C race track. Round up your family, friends and number one fans to sit alongside our tracks and cheer you on from the bleachers. Our race track is complete with a spotting/control tower and electric race track, so you'll really be feeling like a professional racer. 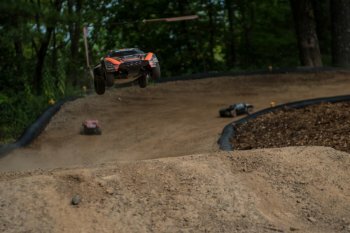 If you're new to the racing scene, you can take things a bit slower on our Rock Crawler track for beginners. No matter what your speed preference is, we offer a little bit of everything for everyone of all experience levels. Repair parts can be purchased at Rip's General Store, or if you're feeling extra ambitious, you can even purchase brand new racing vehicles! 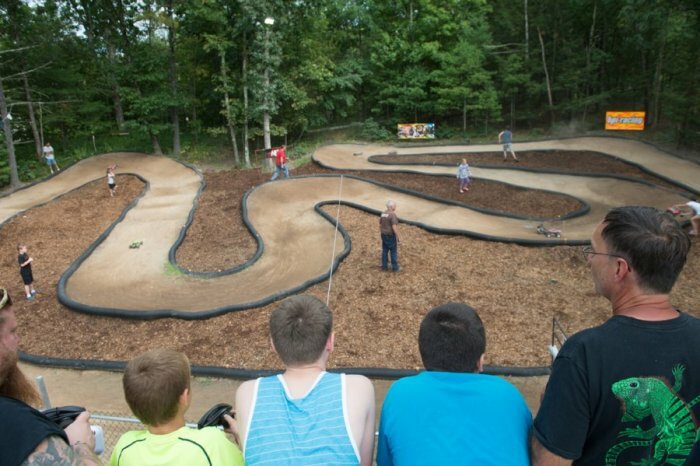 So come and visit us this camping season and put your racing skills to the test at Rip's R/C race track!